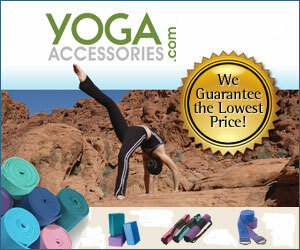 Yoga Accessories at it’s best check out the link below to save on tons of new items ranging from Yoga Mats to Apparel and Accessories. While you may think that any old yoga mat will do, it is a mistake to think that these colorful mats are anything less than your most important piece of yoga equipment. Trying to find the right yoga mat that will suit your needs and abilities has the potential to turn into quite the hassle, especially for people who are new to yoga and are not sure why choosing a mat is so important. In order to obtain all of the benefits that come from practicing yoga, one must find a worry-free mat: super sticky so that hands won’t slip and slide around, and padded enough to make floor exercises comfortable. While these are some of the basic concerns, there are some additional factors that should be taken into consideration when trying to find your perfect mat. Click the link above and find out more on Yoga. To use aromatherapy for pain, relaxation, and rejuvenation, Drs. Hirsch and Oz recommend trying these scents. Relax: vanilla. In the Columbia University Medical Center study, subjects who smelled vanilla while completing stress tests had more stable heart rates and blood pressure readings than those who took the tests in an unscented environment. Try: Place a few drops of vanilla extract onto a handkerchief and carry it with you to smell throughout the day. Recharge: peppermint, jasmine, citrus. These scents make you feel more awake. “Even though these scents are pleasant, they act as mild irritants and the effect is similar to that of smelling salts,” explains Dr. Hirsch. Would you switch to Aromatherapy for Pain Relief? Try: Sprinkle a few drops of the essential oil of your choice in a candle diffuser , or dilute two drops in 1 tsp. of avocado or almond oil, then rub it onto the back of your hand. Try: For aromatherapy pain relief, eat a green apple for a snack or bathe with green apple bath salts. Your nightmare shopping experience is getting a little bit greener. We’ve all heard the horror stories about IKEA: The couple who goes to purchase matching bed stands and ends up breaking up in the Lounging & Relaxing section; the dad who accidentally fell asleep on a faux leather armchair and is still there, 10 years later, unable to be woken up from his permanent nightmare; and, of course,the horse balls incident. IKEA nightmares are so legion that there’s even a guide on how to survive IKEA with your relationship intact. As of Sept. 1, however, your harrowing shopping experience will be a little bit greener.